The quality your workers produce is based on experience, training, and skill. But a big part of production quality is also about the tools and materials you use to get the work done. That’s why today we’re talking about the importance of designing electrical enclosures before fabrication. No matter what industry you’re working in, having a high quality electrical enclosure design is important for keeping your workers and equipment safe. But many cabinet manufacturers either don’t understand your unique needs and demands or can’t produce the quality you need in your shop. Often, designing electrical enclosures before starting on fabrication can solve both the issue of design and of quality. For an experienced buyer, this seems like a no-brainer. You wouldn’t buy a bunch of parts willy-nilly without first having an overall parts list and budget in mind. But not all metal fabrication companies realize the importance of a custom electrical enclosure design that can meet your particular needs. And that’s where the real quality comes from. For example, a fabrication business focused on creating medical devices may need a smaller and more nimble electrical enclosure design to easily accommodate different projects. On the other hand, if your business is mostly military with repetition being the name of the game, then a larger and more stable design may be best for your use. Like a fast food restaurant focuses on cheap and fast, some companies offering electrical enclosures have a conveyor belt style of production. And while this can work for some of the parts of the whole product, this quick and dirty approach doesn’t work for the little details like quality welding and long-lasting materials. Having high quality materials in your electrical enclosure design that don’t scratch easily (or at least don’t come scratched from the manufacturer) show that you’re getting a product that is cared for. And having neat, tidy, and strong MIG and TIG welding shows that the product will stand up to the hard and long hours of your fabrication and welding business. All of these quality markers translate to money saved in repair and replacement costs in the long run. 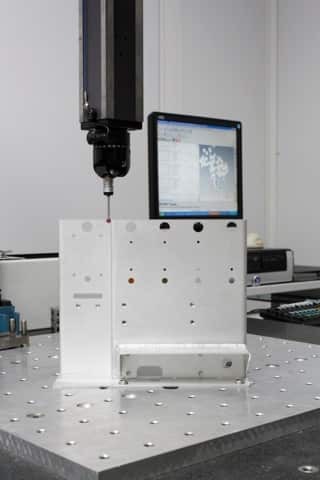 Whether you need a custom electrical enclosure for the aerospace work you do, or you need something that can accommodate a changing job list, the key factor of design will be the blueprint of quality, cost, and longevity. Contact the team at All-Type Welding and Fabrication to get a custom electrical enclosure design quote.